Airbag And Seatbelt Defects In Car Accidents: Can You Sue Manufacturers For Product Liability? On behalf of Admin of JML Law, A Professional Law Corporation posted in Product Liability on Thursday, Nov 22 2018. While it is true that seat belts and airbags are invaluable tools when it comes to promoting the safety of drivers and passengers in car accidents, let’s not deny the fact that sometimes, seat belts and airbags are responsible for some of the worst injuries and fatalities on the roads of California. To be more precise, we are talking about defective seat belts and airbags. “It may surprise you, but seat belt and airbag defects are not uncommon,” says our product liability lawyer Los Angeles. As you may or may not know, there have been dozens of seat belt and airbag recalls issued by some of the leading car manufacturers in recent years. Sometimes, you find out about these recalls from the media, but other times, manufacturers are reluctant to recall their products as a way to prevent sabotaging their reputation and prevent losing profits. Does it make sense why they are doing this? Absolutely. Is it legal? Absolutely not. But here’s the problem: filing a product liability claim against a major manufacturing company is usually a very complicated process. When can I sue manufacturers for defective airbags and seat belts? In a nutshell, you are entitled to sue manufacturers for your losses, injuries, and damages sustained in a car accident if the accident was caused by a defective airbag or seat belt, which, in its turn, had been inadequately designed or had a manufacturing defect. More often than not, establishing an airbag and seat belt manufacturer’s liability gets way too technical and may require knowledge in what goes into the manufacturing process. A Los Angeles product liability attorney from JML Law can help you establish liability, evaluate the total value of your claim, and determine whether or not the manufacturer violated any safety standards or was in any other way negligent or careless when manufacturing, designing, producing, selling, advertising, or distributing the product. As you probably know, not wearing a seat belt can get you in trouble with the law and put your life at risk when driving a vehicle. But, if a plethora of car accidents caused by defective seat belts and airbags are any indication, relying on the sturdiness of the safety belts and airbags in your vehicle can be a major a mistake. Let’s start with the defective seat belts that cause car crashes. Safety belts are supposed to protect you, yet we keep hearing stories of them being ripped, torn, or unlatched during car accidents. One of the best ways to ensure that the seat belts in your vehicle are safe is to have a skilled mechanic regularly inspect each of them. Unfortunately, thousands of cars in the United States drive with defective seat belts, and in some cases, there is no way to know that you are one of those unlucky drivers with defective seat belts unless you get into an accident where a safety belt malfunctions and causes you injury. 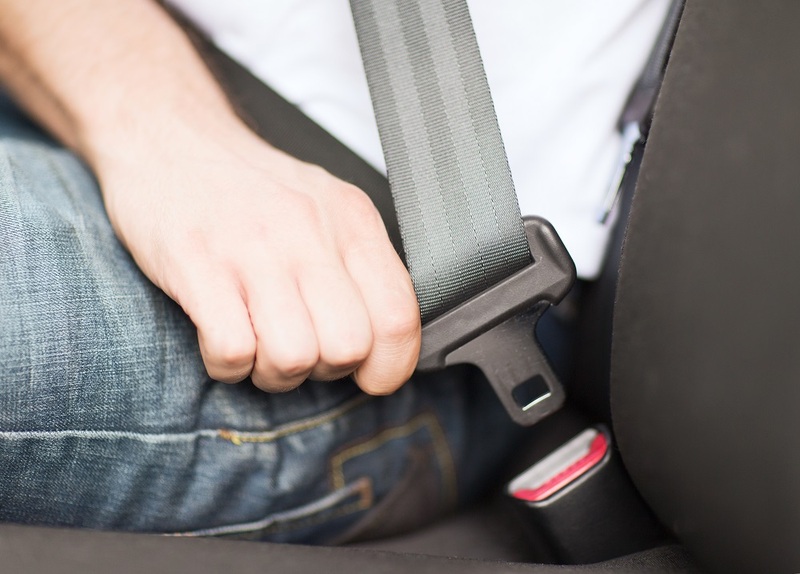 What are the most common types of seat belt defects in the U.S.? A large percentage of car accident injuries are caused by a defective seatbelt buckle being unlatched in a collision. Our experienced product liability lawyer in Los Angeles says this phenomenon is called “inertial unlatching,” which occurs when the latched plate slips out of the buckle. Another common defect in safety belts is false latching, which is when a defective seat belt looks as if it has been properly latched, when, in reality, it isn’t. In fact, even an insignificant amount of force can release a latch plate and result in the driver or passenger being thrown into the windshield or even ejected from the vehicle. Seat belt manufacturers owe consumers a duty to ensure that seatbelt webbing is strong enough to resist the impact during a car crash. Defective webbing that is not strong enough can cause the webbing to rip apart. With defective airbags, on the other hand, it is much simpler. There can be only three types of airbag defects: the airbag failed to deploy, there was an unreasonable delay in the airbag deployment, and the airbag lacked tethers. All of these can cause serious injury and even death, which is why knowing how to seek compensation in the event of a car crash caused by a defective airbag or seat belt is paramount. Get a free consultation from our experienced product liability lawyers at JML Law by calling at 818-610-8800 today.